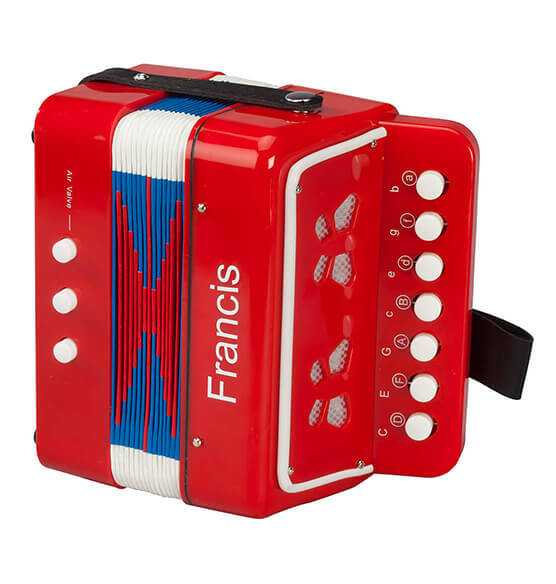 Specially designed for little hands, this Personalized Children's Accordion delivers rich, full sound—and big FUN when personalized for one budding musician! 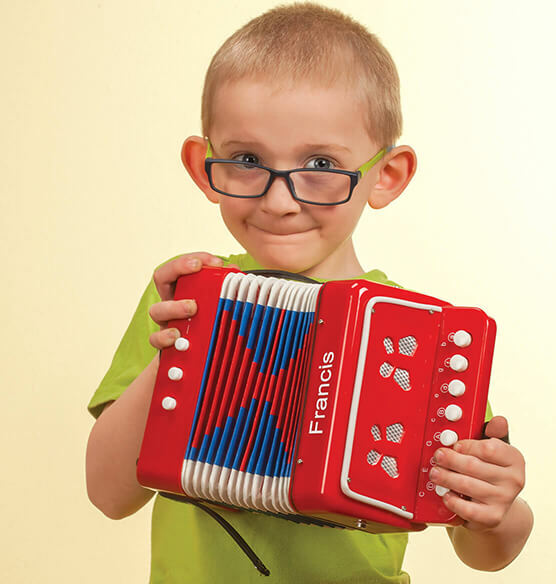 A great way to get little ones excited about music, this musical toy features fewer keys, so it helps beginners learn to play quickly and easily. Since music instruction may help enhance cognitive development in young children, it's a gift you'll feel good about giving. We'll personalize with one special name ... adding a note of thoughtfulness! Specify name. SMALL PARTS: Not for < 3 yrs. Measures 7" by 7" by 4"